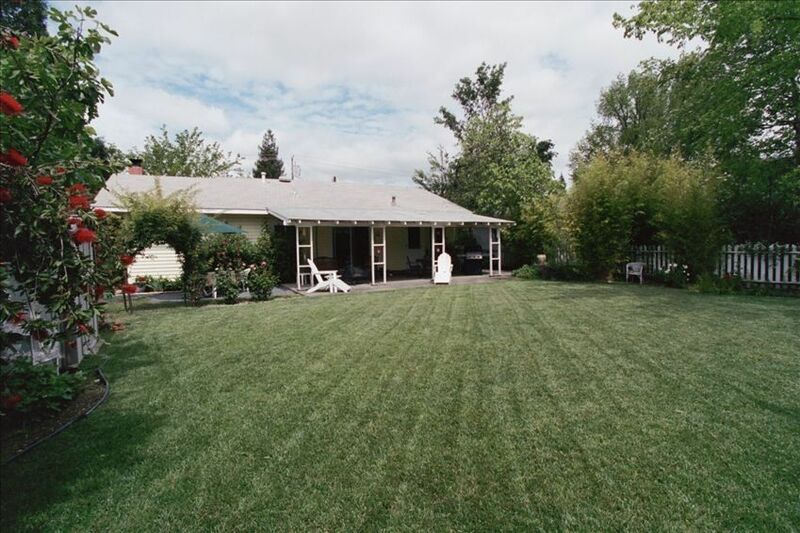 Beautiful 2 bedroom, 1 bath vacation home available in Calistoga for long & short-term rental. Convenient location, perfect for short-term work assignments, visiting executives, or families who are relocating. Located three blocks from historic downtown Calistoga, this newly decorated house features a charming interior with fireplace, kitchen, two bedrooms, living room, bath, & a serene patio with a Marquis Hot Tub discreetly nestled amidst a beautifully landscaped patio and lawn. The interior is furnished with antiques and painted in soft tones of coral, honey & sage. The living room is the perfect place to curl up in front of a roaring fire with a book from our well-stocked library, enjoy movies On Demand, HBO/SHOWTIME, or sit back on enjoy jazz or classical music. My husband and I own a catering company in San Francisco and have always loved Calistoga. It was our vacation destination for many years before we found this beautiful home. We love to get away from the fog and frantic-pace of the City and use our time in Calistoga to relax and rejuveniate. It's the perfect paradox to City living. We own a Jack Russel (Billy) who enjoys playing in our expansive back yard. I never experience the same level of relaxation, restfulness and serenity anywhere else. This is truly a magical place. We love it! We fell in love with Calistoga and the indescribable serenity of this magical place. We couldn't stay away. I love to have time to relax, cook, bike and wine taste. All of which are in abundance in Calistoga. I also shop at two of my favorite consignment stores, where two-thirds of my wardrobe is from.